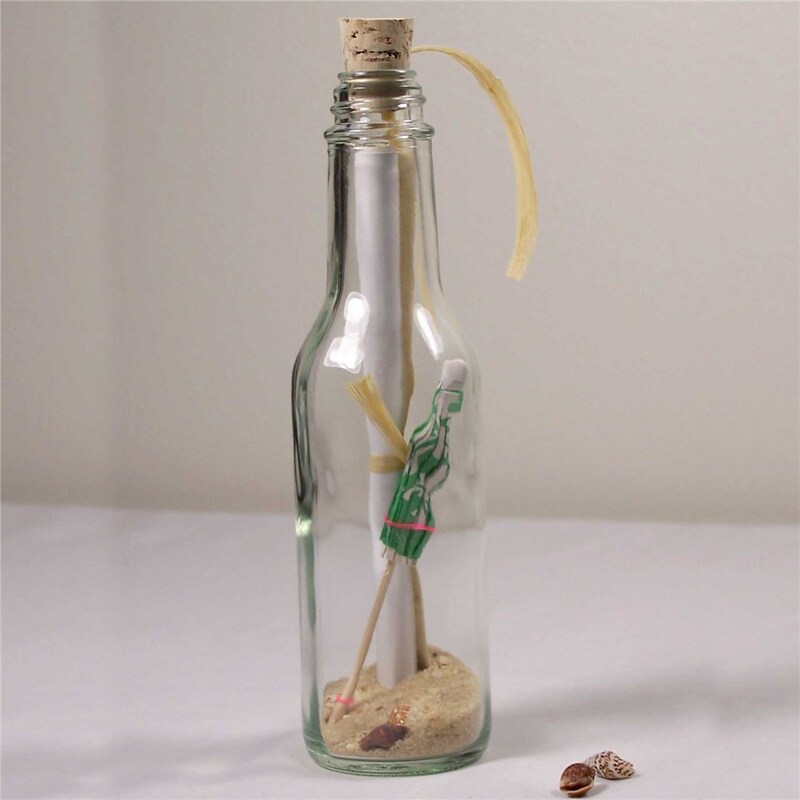 Our Shores of Sand Message In A Bottle makes a creative and romantic way to share your heartfelt thoughts to your special someone on your Anniversary, Valentine's Day, Sweetest Day, or any special day! The 6 1/2" glass bottle comes with sand and seashells, beach umbrella, and your very own custom message. Custom Message can be up to 10 lines, 30 characters each line. Choose Between Our Verse or Write Your Own! You are the crown of inspiration. You are elegance, you are light. Bringing the dawn to darkest night. With you for an eternity. Excellent product that can be saved. I enjoyed the unique way to express my thoughts, instead of a card. Bought for husband as an anniversary gift, 27 years, he loved it! A Personalized Message in a Bottle makes the perfect Gift for Valentine's Day, Sweetest Day or any Special Occasion. It is the perfect way to say "I Love You".